Hands up if you’ve bought fancy cupcake liners for a party only to have them look like an oily mess when they come out the oven? Annoying, huh. 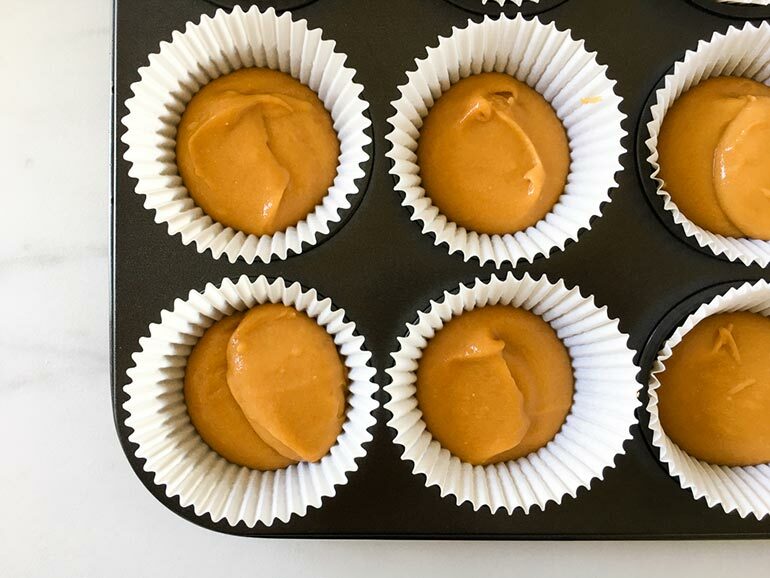 Prepare for your baking life to be CHANGED with this trick. 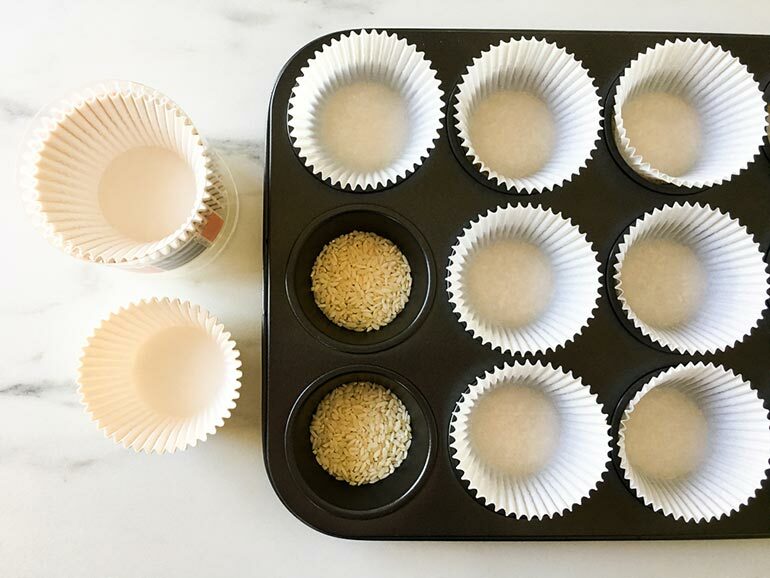 Yep, we’ve got the solution for how to stop oily cupcake bottoms. And it’s right there in your kitchen pantry. Like rice isn’t magical enough with it’s dinner versatility and clever way for fixing your wet mobile phone, once again it’s rice to the rescue! 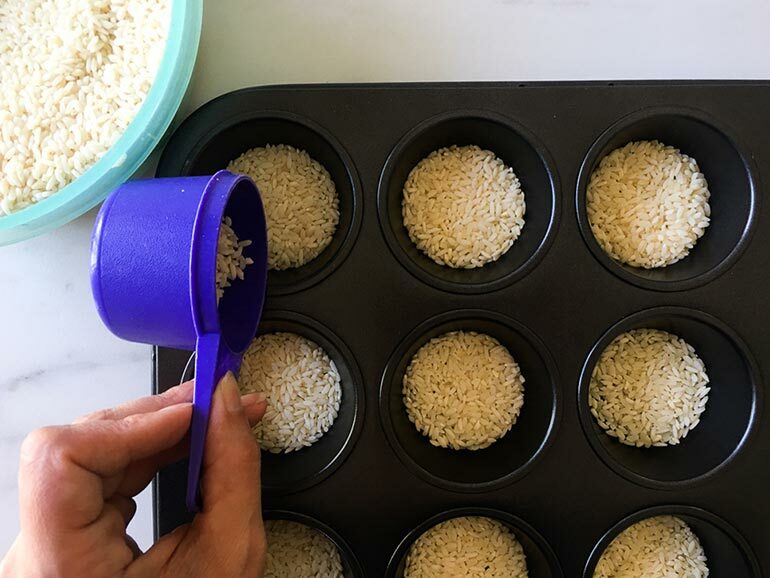 Yep, the solution to stopping oily cupcake bottoms is rice. As simple as that! To make sure this game-changing wizardry is true Mum Central put the theory to the test with caramel mud cake mixture. You can see for yourself, this baking hack works! Go on, try it for yourself with this easy tutorial! 1. 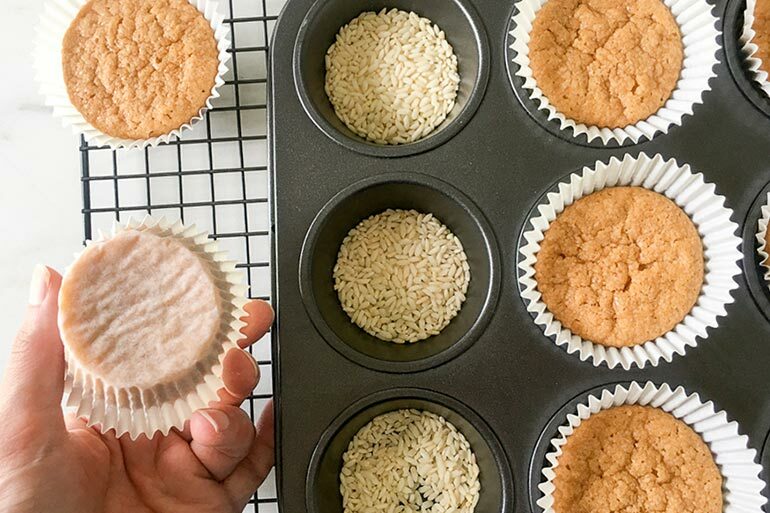 Add a 1.5cm (or thereabouts) layer of uncooked rice to the bottom of each cupcake cavity. We’ve used long grain but the variety doesn’t matter – whatever you have in the pantry will stop oily cupcake bottoms in their tracks! 2. Line the tin with cupcake papers just like normal. 3. Fill with cake batter and bake. 4. Let cool for 5 minutes in the tin before removing to cool completely on a cooling rack. Voila! 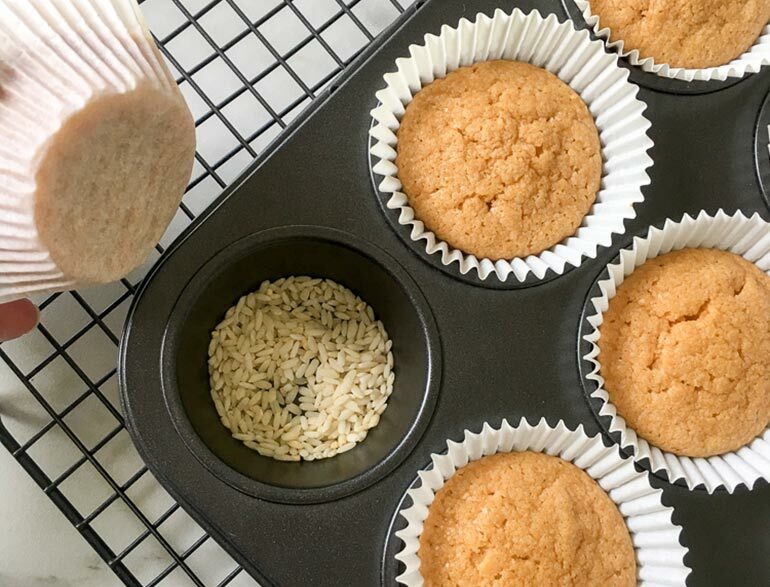 Just like magic, no more oily cupcake bottoms! Never be disappointed with ruining your gorgeous cupcake papers again. 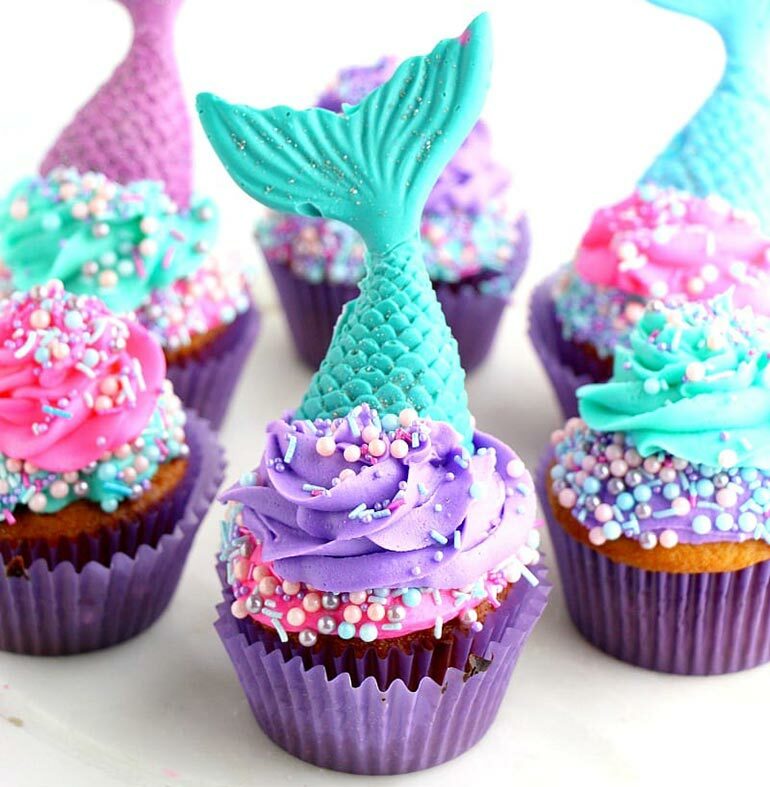 If you’re inspired to try this baking hack right now you might even dare attempt these totally #nextlevel mermaid cupcakes for an under the sea party! 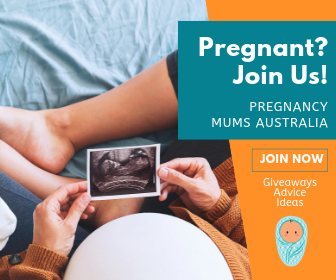 Or for a more simple choice try Mum Central’s delicious vanilla cupcake recipe to try it out for yourself. Keen for more kitchen hacks? See our pie maker hack in action and all the ways you can clean your house top to bottom with Bi-carb soda! So many amazingly awesome, yummy looking recipes.